These fruitcakes are made with Leelanau Fruit Company cherries! We make the whole glacè fruit mix that goes into these cakes, which are delicious! Put all fruit into a food processor or chopper. Chop into fine pieces. Mix in sugar to taste. Refrigerate until ready to use. I’d suggest Aurora Cellars Radiance or Pinot Noir 2014. You can’t go wrong with anything made by my friend Sam Simpson. Substitute some great local apples, potatoes, or other local ingredients into your meal plan. And as always, skip the pumpkin pie and eat a delicious cherry pie! The cherries are ripening, and that means we are ramping up for a great summer cherry pack season! 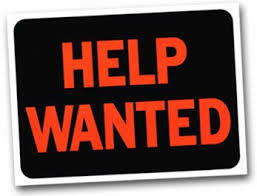 If you, a family member, or someone you know is looking for a summer job for 4-8 weeks, please have them call our office or stop by to submit an application for work. Our telephone number is 231-271-3514, and our address is 2900 S. West Bayshore Dr. Suttons Bay, MI 49682. We have a variety of jobs and shifts available. Our day shift is 7:00 am through 5:30 pm, and our night shift is 5:30 pm through 4:00 am. Our job openings include office staff who are responsible for weighing and grading cherries, fork lift drivers and production staff. Minos are welcome to work, but they are limited to working 8 hours per day. Competitive wages, a great work environment, and overtime opportunities are available. We look forward to adding you to our cherry team this summer! Oh, the weather outside is frightful, but summertime cherries are still on our mind! Our farms and processing plants were honored to host an online food/travel show called “Food Trippin’ with Molly” this past July. Molly and her crew did a wonderful job of showcasing our beautiful fruit and telling our story from cherry tree to ice cream cone. Here are two excellent, easy recipes cherry recipes sure to be the hit of your next football party or tailgate! Both of these recipes call for cherry pie filling. 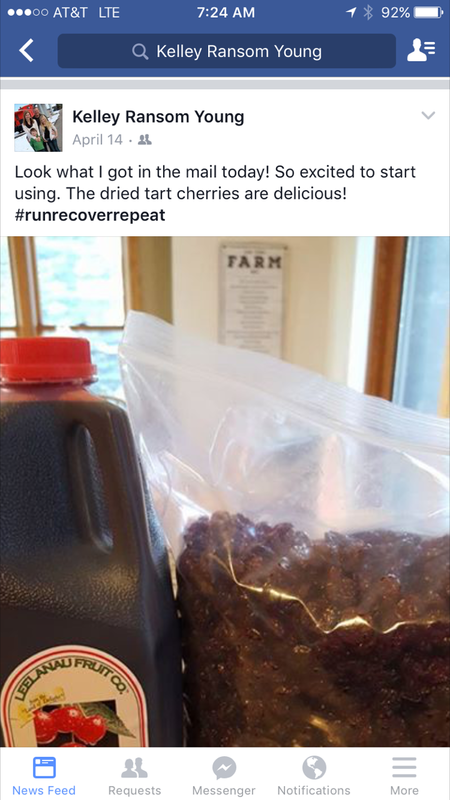 We highly recommend you make your own using our frozen tart cherries grown right here in Leelanau County! In a medium size bowl beat cream cheese and marshmallow crème until well combined. Add Cool Whip and mix to combine. Spread into a 2 quart dish or plate. Top with cherry pie filling. Serve with graham crackers and vanilla wafers. Preheat oven to 350. Spray a 15x10x1 jelly roll pan with cooking spray; set aside. In a large bowl, add the butter, sugar and salt, beat until light and fluffy, scraping the sides of the bowl. Add eggs, one at a time, beating well after each addition, again scraping down the sides of the bowl. Gradually add the flour and mix well to incorporate. Spread 75% of the dough onto the prepared baking sheet. The dough will be sticky so it will take some time to get the dough spread out evenly in the pan. Top with the pie filling, leaving a ¼” margin from the edges of the pan. Drop the remaining dough in about 1 teaspoon size drops over the filling. It will flatten out some while baking. Bake bar for 35 minutes or until edges and top is very lightly brown. Allow bars to cool completely in pan on a wire rack. In a medium size bowl mix confectioners sugar, extracts and the amount of milk to get a desired consistency to drizzle over the bars. Evenly drizzle over the bars. A while back, we invited you participate in our #runrecoverrepeat fitness contest. Many people had fun posting their photos using our products. We are excited that many of you are using our products for their health benefits and nutritional properties. The winner of the #runrecoverrepeat contest is Kelley Young from Ravenna, MI! Thanks so much for using our products and sharing your experience with your Facebook page. Your post led to a great conversation about cherries among your friends. Keep working toward your fitness goals this summer. Let us know how cherry concentrate is helping in your progress. Share your experiences with your social friends, and by all means, keep using the #runrecoverrepeat hashtag! ﻿MontMOREncy… what does it all mean? In an earlier blog post, we introduced you all to the term MontMOREncy cherry, and we promised an explanation. So what does MontMOREncy mean? The Montmorency tart cherry is the most popular tart cherry grown in North America. These are the cherries you’ll find in your grandma’s cherry pie. Our dried cherries are made with a Montmorency tart cherry, as is our Tart Cherry Concentrate. Farmers have long ago discovered that Montmorency tart cherries provide the greatest yield and are a great fruit to grow. Processors liked the Montmorency because it “pitted” well and the fruit held its flavor and color. Consumers loved the Montmorency for its sweet-tart flavor, its bright red skin, and its light flesh. Nature had developed her most perfect fruit! Then in the early 2000’s, some researchers started poking and prodding our perfect fruit. Come to find out, our tasty Montmorency cherry is good for your health, too! The properties that give the Montmorency tart cherry its bright red pigment also has properties that promote wellness in humans, too. You can learn more about the health and wellness benefits of tart cherries here, here, and here. Want the science behind our superfruit in (almost) plain English? Click on this link. It is a fantastic article. Our industry has leveraged the strong clinical research and real world evidence of daily consumption of tart cherry juice into a wellness and health benefits message for consumers. Click on over to the industry page, www.choosecherries.com, to learn about all the health benefits of tart cherries. Unfortunately, our industry has been challenged by inferior, imported cherry juice being sold as equal to our Montmorency tart cherry juice and concentrate. This imported juice does not have the health benefit properties that our USA grown Montmorency tart cherry concentrate does. Our MontMOREncy tart cherry juice contains MORE of the natural wellness properties that make MontMOREncy tart cherries a superfruit. And that is why we spell MontMOREncy with the emphasis on more. It’s proven that USA Montmorency cherries are a superior superfruit. So when you buy tart cherry juice concentrate, make sure the brand uses only USA grown MontMOREncy tart cherries. At Leelanau Fruit Company, we always and only use MontMOREncy tart cherries. For us, our source of cherries is right down the street, at our own farms. It doesn’t get fresher than that! And remember, February is National Cherry Month. Click on over to our online store to grab some tart cherry juice concentrate. With ever order in February, you will receive a free gift from us! Already known for their high vitamin A and beta-carotene content, research suggests that it’s the bright red color of tart cherries that provides the anti-inflammatory benefits. The antioxidants in cherries are believed to reduce the pain of arthritis, inflammation and gout. Besides their many health benefits, they are also wonderful to eat or drink. We offer our cherries in frozen (no online sales), dried, maraschino and juice form. Let’s celebrate this delicious and healthful fruit in recipes! Preheat oven to 350. Grease a 13x9x2” baking pan. Evenly spread cherries into the prepared pan. Sprinkle ½ cup sugar evenly over the fruit. Evenly shake cake mix over fruit and then sprinkle sliced almonds evenly over the top. Sprinkle the almond extract over the almonds. Place the butter slices evenly over the entire top of the cake. Sprinkle with 1 tablespoon sugar. Bake 50 -55 minutes or until lightly browned on top. Cool before serving. Enjoy! 3 large heads broccoli, cut into bite size florets. The stem can be peeled and chopped into bite size pieces as well. In a large bowl mix the above ingredients. Mix the dressing with the salad ingredients one to two hours prior to serving. Keep refrigerated. In a large bowl combine the mayonnaise, buttermilk, horseradish, salt & pepper. Add the rest of the ingredients and mix well. Cover and refrigerate until ready to serve. In a large bowl whisk together the apple juice, vinegar, sugar, salt & pepper. Add the cabbage, carrots, green onion, cherries and apple. Toss well to coat. In a large bowl combine the flour, oats, baking powder, baking soda, salt and cinnamon. Stir well, set aside. In a small bowl combine applesauce, butter, sugar, yogurt and egg. Pour over the dry ingredients and fold until mixed. Add the chocolate chips and cherries. Grease and fill 12 muffin tins ¾ of the way full. Bake at 375 for 20 minutes or until a toothpick come out clean when inserted into the center. Mix all ingredients together in a large bowl. Cover and refrigerate overnight. Add sliced bananas and apple chunks just before serving. February is National Cherry Month! How are you planning to celebrate? Well, those of us at Leelanau Fruit Company traditionally spend all month challenging each other to pit spitting competitions, pie eating competitions, and cherry juice flip cup. Anytime is a good time to celebrate cherries in our book, but when we get national recognition and have a whole month to celebrate our fruit, we pull out all the stops! In all seriousness, we do enjoy celebrating cherries during February, National Cherry Month. While the weather outside might be cold, snowy, and blustery, National Cherry Month gives us an excuse to tout the benefits of our local, picked fresh from our trees, superfruit. We are fully supportive of you going out to your local grocery store and buying a couple dozen cherry pies to mark the special occasion. Heck, go nuts and garnish your pie with a couple of our maraschino cherries! You deserve to be spoiled. But for those of you who have made a New Year’s resolution to get in shape and exercise more, our tart cherry concentrate can help you achieve your fitness goals and improve your health. Our partners at www.choosecherries.com have a great resource website where you can learn all about training and exercising while using MontMOREncy tart cherries. Why did we spell MontMOREncy that way? Click on over to www.choosecherries.com to find out, and in an upcoming blog post, we will explain what the name MontMOREncy means to us. In the meantime, we want to help you celebrate National Cherry Month in style. Any and all orders placed on our website in February will receive a free gift from Leelanau Fruit Company. The small gift is our way of saying Happy National Cherry Month! So go on, order some cherry juice concentrate to boost your exercise routine. Grab a LFC t-shirt and go to the gym in style. Serve some chocolate covered dried cherries at your Superbowl party (you can cheat your diet once in a while- we give you permission). Click here to go directly to our online store. We will toast to you at our next cherry juice party! What do you guys do this time of year? “What do you guys do this time of year?” This is a common question we get after cherry season has wrapped up. It is a fair question. Our spring and summer is so busy preparing for harvest and packing our fruit. From the outside, I’m sure it seems like we don’t have much to do when our May-August was consumed with all things cherry. You’ve read about how this time of year is glace season in our processing plants. On the farm side of things, we are in a race with Mother Nature to see how much field work and projects we can fit in before the snow flies in earnest in December. Earlier this fall, we prepared ground for planting new cherry trees next summer. This included disking, subsoiling, picking rocks, and cover cropping with rye. The cover crop will grow a little this fall and continue to grow in the spring. When we disk those grasses under, the decomposing grass will provide nutrients back to the soil. We’ve also spent a lot of time cleaning up our orchards from the August 2 storm. Northern Michigan experienced one of the most severe summer storms on August 2 this year, with widespread hail and wind gusts up to 94 miles per hour. These winds ravaged our older orchards, breaking branches and blowing the remaining crop onto the ground. Our farm work crews have also mowed and fertilized all our orchards. Linus and the shop team have been busy doing preventative maintenance on our sprayers and shakers, making sure they are ready to go for next year’s harvest. We painted one set of our shakers- what a job that was! We’ve rebuilt several roads around our orchards. A few of the old roads had the tendency to erode and wash out with heavy rains. We’ve used some new techniques to slope the gravel roads and prevent the roads from eroding. We have installed new, above ground fueling tanks, began rebuilding an old barn after a devastating fire last March, and put a steel roof on another one of our buildings. So, as you can see, we’ve been busy. Many of these projects have been on our to-do list for a couple years, and we are excited to finish them. 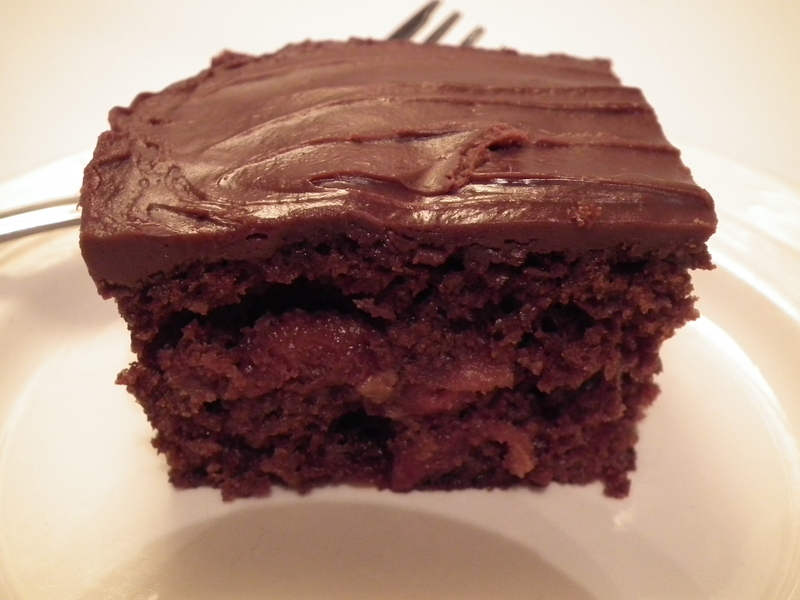 The combination of chocolate and cherries is always a delicious favorite. This is an easy recipe to whip up and topped off with an amazing chocolate frosting, it’s sure to be a Go-To recipe! Preheat oven to 350. Grease and flour a 13×9” baking dish (you can make this recipe into bars by using a 15x10x1” baking pan). In a large bowl, combine cake mix, pie filling, beaten eggs and extract. Stir until well blended. Pour into the prepared pan. Bake at 350 for 30 – 35 minutes, (bake 25 – 30 minutes for bars) or until toothpick inserted in center comes out clean. Cool on wire rack while making frosting. Frosting; in a small saucepan, combine sugar, milk and butter. Bring mixture to a boil and boil 1 minute, stirring constantly. Remove from heat and stir in chocolate chips and extract until smooth. Pour and spread over warm cake. Enjoy!